A few months ago in the grips of cabin fever, I lashed out in a fit of defiance, and took a day off of work when the sun took occasion to shine. As I’m wont to do, I got in the car and drove the country roads. Sometimes the less idea I have of where I’m going the better. Like most times, this technique paid off. I came upon a wonderful country church and cemetery. I didn’t’ realize at the time of taking the photos there is a great story behind the church. 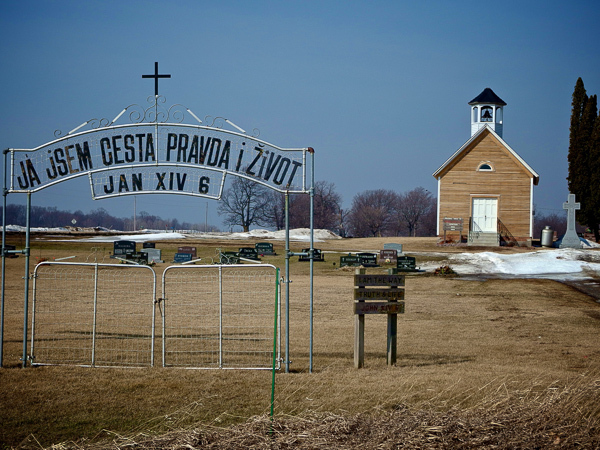 “Built in 1868 by Czech settlers who later moved to a bigger parish in Montgomery, the Budejovice Church had not been home to a congregation in more than a century.”. The church was adopted by a caretaker and restored. My words would only come up short, so watch the video. Since the video it would appear the church has had the siding replaced, received a new roof and is having the steeple worked on and looks as in the photo below which is a similar angle to some of the shots in the video. I couldn’t find any details about the new work. 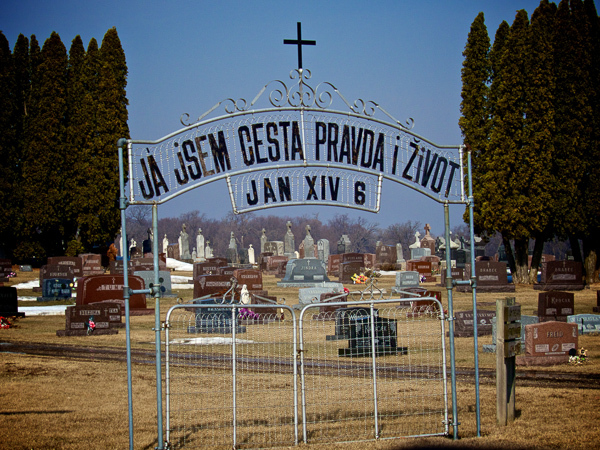 This entry was posted in LESUEUR COUNTY MN and tagged cemetery, church, copyright ryan ware, rural. Bookmark the permalink. Great find, Ryan. I remember hearing this story. Could you email me with directions of how to find this church? 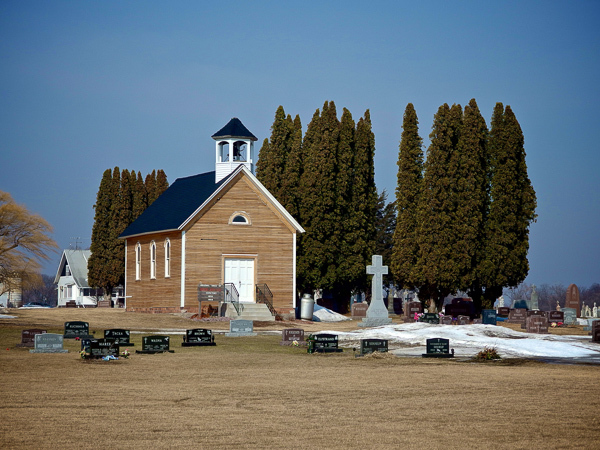 Highway 13 south from New Prague, West on Cty 26, South on 181st Ave So….the church and cemetery are about 1/4 mile on the right. Just amazing! I can’t wait to visit. My new fiance and I would be honored and thrilled and willing to make a semi-significant donation to be married here. Any information on who we could talk to about this? I’m not sure. I think I would look for Churches in Montgomery MN, call one of them up and they could probably point you in the right direction as far as a contact. http://www.churchfinder.com/churches/mn/montgomery lists two. I would start there. The local folks will know about it. Look up Greg Thomas restores a church in montgomery mn. You can find him on FB.